CWP (Cliff Wells Plumbing and Heating) - Central Heating Engineer based in Dauntsey, Wiltshire. Hi my name is Cliff Wells and my company is CWP (Cliff Wells Plumbing and Heating). 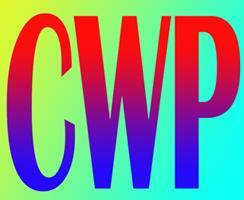 CWP was set up in 2012 after returning from living in Cyprus for 5 years. Before that I had a company called AC Plumbing Services and employed several people. Nowadays I am a sole trader and generally work alone. My Father was a gas engineer so I learnt the trade at an early age and on and off have worked in the Industry for 30 odd years. I mainly undertake heating work such as Installation and servicing of Gas boilers, also offering breakdown and call out for Gas and Oil boilers. I do fit complete heating systems as new or refurb old ones. I am a Vaillant Advance registered engineer which means that I attend their training courses at their Almondsbury facility. I usually fit Vaillant boilers as being an Advance engineer I can offer extended warranties on their products and when I fit a Vaillant boiler I can register it through them for warranties and Gas/Building regulations approval and every year they E.mail me when said boilers are due for servicing. I will carry out breakdown calls servicing and inspection on any make of boiler. I also offer Landlord Safety Inspection Certificates which is of course essential for those that rent out properties that have any gas appliance fitted within them.